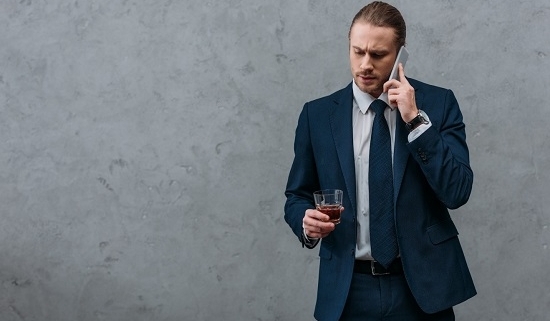 You may know a high functioning alcoholic and secretly wonder how they manage to pull it off—holding down and excelling at a high-level professional position while abusing alcohol. It seems to defy reality that someone could be capable of this feat, but these individuals, about 20% of alcoholics, seem to have gotten a pass somehow. Well, until the disease catches up with them, that is. Eventually, alcohol wins. 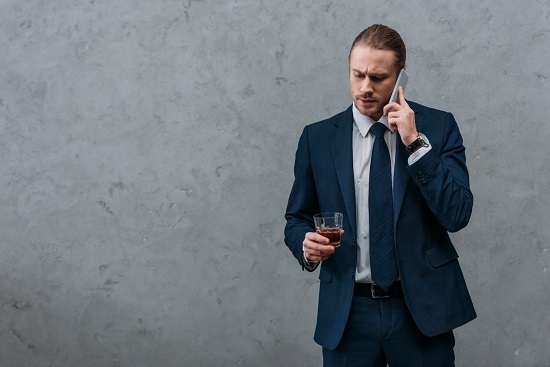 These executives, many responsible for overseeing dozens or more employees, huge corporate operating budgets and projects, or practitioners of medicine or law, may have a very high tolerance for alcohol. The high tolerance can allow them to drink large quantities of alcohol and still not appear to be intoxicated. Their career success and intact families mask the serious problem that sits just underneath the surface like a ticking time bomb. Someone with this unusual ability to function well professionally and personally while being a heavy drinker should address the creeping problem before it begins to be destructive. Over time, alcoholism can have devastating health consequences, even if it isn’t apparent on the outside. The earlier that treatment is received the fewer the consequences to both one’s health and career. Even if the high functioning alcoholic is in denial about their problem, eventually the damage will become evident. When repercussions begin to mount, an intervention may be necessary in order to get the individual’s attention and guide them into treatment. There are professional interventionists who can assist with this task, as it can be difficult to negotiate without assistance. Whether you plan an intervention or not, the goal is for the high functioning alcoholic to be made aware of how their drinking is harming them, their health, their career, their family, and any other fallout you can point out to them. Prior to approaching the individual, have a plan in place to help guide them into treatment. Locate a quality rehab that is geared toward executives and that offers a medical detox program. Check with insurance to identify the coverage of the plan and any restrictions regarding providers. Mostly, present a united front and that you want only the best for your loved one. The road to recovery from alcoholism will begin with a medical detox. Alcohol is a very difficult substance to detox from, and can pose some serious medical issues that arise without warning during the process. This is why alcohol detoxification should never be attempted alone. During a medically supervised detox, trained detox professionals will offer the individual medical and emotional support. This helps ensure that the detox and withdrawal is completed safely and with the lease amount of discomfort possible. During alcohol detox, benzodiazepines are provided to help reduce anxiety and help aid sleep. Medications will be offered to manage stomach upset and nausea and fever. Following a successful detoxification, the individual can begin the treatment phase of recovery. This can be provided in either an outpatient or inpatient recovery program, depending on the severity of the alcohol use disorder and scheduling constraints due to the individual’s work responsibilities. An outpatient program allows the individual to reside at their own home while going through the program, where an inpatient program involves a lengthy stay at a treatment center. Both will include talk therapy, group therapy sessions, classes, and relapse prevention strategizing, but the inpatient program is more intensive and comprehensive in scope. Once the treatment plan is completed, continuing care is recommended, which includes weekly counseling sessions and participation in A.A. or a similar recovery program. Executive 7 Day Detox can help a top tier professional launch their recovery from alcoholism and regain control of their life. At Executive 7 Day Detox we have designed a detox program that is geared to the daily demands of corporate executives, medical professionals, legal professionals, and business owners, understanding the unique needs of their positions. This means that our program offers an extra layer of discretion and privacy, access to electronic devices to provide the opportunity to make contact at work, and a tightly structured detox program to efficiently jumpstart the recovery process. Our treatment facility is located in a beautiful coastal community in Orange County, California, providing the finest accommodations and spa-like amenities someone of stature is accustomed to enjoying. Following completion of detox, there are inpatient or outpatient treatment options available to complete the therapeutic process of recovery. For more information about the program, please contact Executive 7 Day Detox today at (800) 381-0827.